When it comes to wide, super-cool and affordable wheels no other manufacturer offers quite the same selection as Rota. Over the past few years Rota has continually expanded not just its wheel range but also wheel fitments, catering for Japanese, VW, Ford, Vauxhall and even BMW models. In 2014 Rota is proud to add yet another classic design to the BMW fitment range – the 18in MXR. New for 2014, Rota Wheels UK is hugely excited to launch the D154, a retro-style design available in an aggressive 16x8in ET20 and ET30 fitment. Taking inspiration from the classic ‘turbofan’ wheels of the 80s, Rota has applied a modern twist to the D154 mixing a concave centre along with a vented lip for a truly unique look! Back in July 2013 we unveiled one of our most-daring wheel designs ever, the 18in Rundfahren RM100. This Euro-inspired wheel is unlike anything else we’ve ever produced featuring a concave construction, turbofan-style outer fins and even a retro mesh centre section. It’s caused a serious amount of positive discussion over on the Rota Facebook Page, and we’re hugely proud to be awarded the ‘All-round Awesomeness Award’ in this month’s Fast Car magazine! When we launched the Rota MXR last year, there was one stand-out car that definitely showcased this super-wide design better than anything else – Joe Karlton’s Impreza STI. 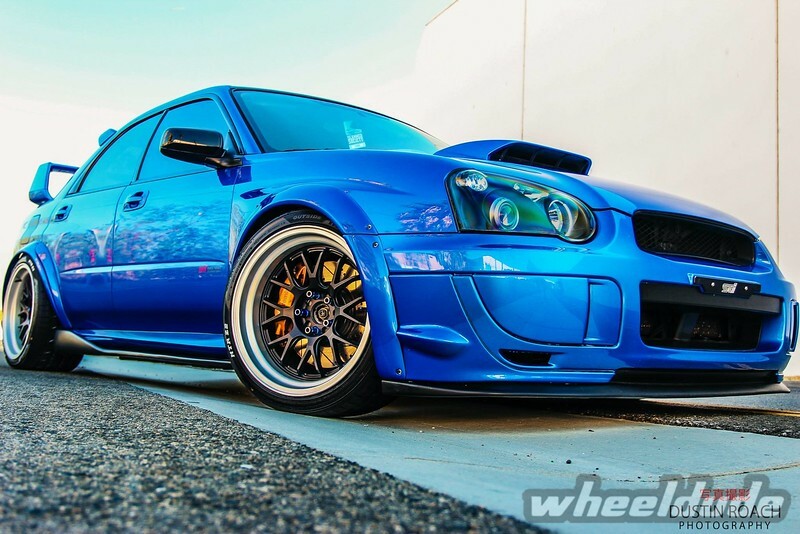 From Facebook and Twitter to Tumblr and Instagram, pictures of Joe’s crazy STI sitting on 18x11in ET20 MXRs appeared everywhere, and it’s not hard to see why! Sure it may not keep the Subaru purists happy, but seriously, how aggressive does this motor look?! We LOVE it! Launched earlier in 2013, the Rundfahren RM100 is one of the most-daring wheel designs ever produced from Rota. Targeted specifically towards the Euro market, the RM100 features a concave construction, turbofan-style outer fins and even a retro mesh centre! Subtle it is not, but where’s the fun in that? With Christmas just around the corner there’s never been a better time to treat your motor to a fresh set of wheels! New for November, the OS Mesh is another retro-styled design from Rota wheels. Available only in 15x8in with an ET0 offset this is a seriously aggressive wheel guaranteed to transform the overall looks of your car. Due to the aggressive fitment, arch modifications/camber adjustment may be necessary (depending on car). There’s no denying Rota Wheels are HUGELY popular in the Japanese tuning scene! Since 2003 we’ve stocked a wide range of fitments and sizes to suit just about every model available including the Honda Civic. From the classic EF9 to the sporty FN2 Type-R there’s a Civic model out there for all your needs. But with so many modified examples and plenty of upgrades available, just what size wheels should you fit to your car? This all depends on what look you’re after or how you intend to use the car, but to give you a rough idea of what Rota can offer, check out our full Civic fitment guide!